After years in the finance industry, and in a complete change of career direction, Brian Sharpe became assistant editor of Heritage Railway in 2002. This summer he stepped down to take a well-earned retirement, and over the following pages he recalls some of the preservation highlights he has witnessed and reported on over those 16 years. Like many teenagers in the 1960s I had been an avid trainspotter; in my case, my local line was the East Coast route where I managed to ‘cop’ many LNER Pacifics, including all of the A4s. The King’s Cross engines such as Mallard, Sir Nigel Gresley and Flying Scotsman were an everyday sight but one afternoon in 1963 an apparition came into view at one of my favoured spots, Walton level crossing north of Peterborough. It was an immaculate but unfamiliar-looking steam engine heading south light engine on the slow line. In hybrid LNER/BR condition, LNER A3 Pacific No. 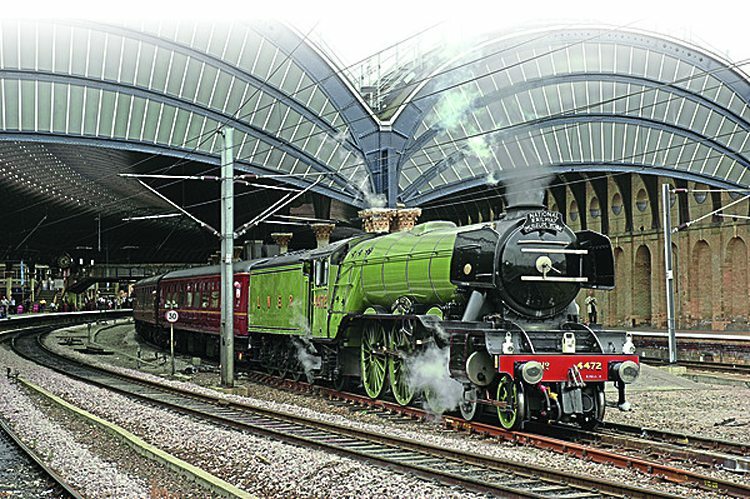 4472 Flying Scotsman departs from York on May 31, 2005 with the ‘Scarborough Spa Express’, its first train after being purchased by the National Railway Museum. As it passed, I naturally noted down its number – 4472, but the four-figure number was unfamiliar, as was shade of green and the initials LNER on the tender. However, I recognised the name on the red plate over the middle splasher – Flying Scotsman. It was not the No. 60103 I had been familiar with though – and this was my first encounter with railway preservation. I later discovered that the engine had been purchased by Alan Pegler, overhauled at Doncaster and was heading for London to work its first railtour in private ownership. LNER A4 Pacifics Nos. 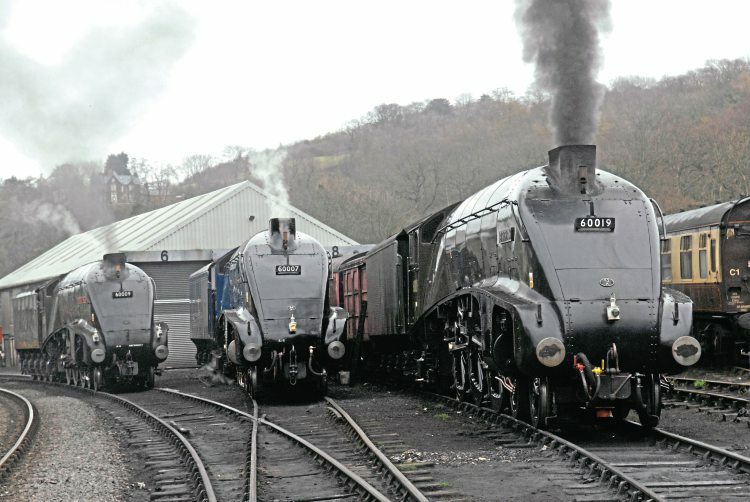 60007 Sir Nigel Gresley, 60009 Union of South Africa and 60019 Bittern in steam at Grosmont shed on the North Yorkshire Moors Railway in March 2009. Sadly it was another couple of years before I acquired my first camera, by which time the LNER Pacifics had retreated much further north, so I never photographed any in BR service. I did not even really notice them disappear as I think I was more interested in the shiny new diesels; ‘copping’ the Deltics in numerical order as they entered ECML service. By the time BR steam ended completely in 1968, I was travelling more widely across the country. I saw more apparitions on my travels such as a maroon Ivatt mogul, No. 6441 among the rusty ‘Black Fives’ at Carnforth, then witnessed the arrival of No. 70013 Oliver Cromwell at Bressingham in August and a month later, a rusty Standard 5MT 4-6-0 No. 73050 appeared at my local shed at New England. Next Post:World’s first ever solar-powered train, claims Australian heritage project!